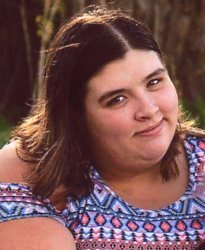 Funeral Services for Amanda L. Brader, 24, Norfolk, will be 10:30 a.m., Saturday, January 19, 2019 at Grace Lutheran Church in Norfolk. Reverend Chris Asbury will officiate. Burial will be in Swaburg Cemetery in rural Hooper. Visitation will be Friday 6:00 p.m. to 8:00 p.m at Home for Funerals on Norfolk Avenue. She passed away Saturday, January 12, 2019 at Faith Regional Health Services in Norfolk. Amanda Louise was born in Aurora, Nebraska on January 28, 1994. She was baptized on March 13, 1994 and later confirmed on April 16, 2008. She completed her GED in June 2012. In her short life, Amanda was a proud, devoted mother. She enjoyed being a daycare provider and delivering the local newspaper in town. Amanda was a loving daughter and a loyal friend. She is survived by son Adrian James Dwight Schaller, mother Mary Brader, fiancé Jordan Schaller, Norma Malpert, brothers Caleb Howe and Alex Gragg, sisters Makayla Howe and Allyssa Gragg, two grandfathers, many aunts, uncles, cousins and a host of friends. Amanda was preceded in death by her father, Dwight Henry Brader, and three grandparents. Memorials requested to Lutheran High Northeast in Norfolk, Nebraska Children’s Home, Immanuel Lutheran Church in Hooper or LIVE ON DONATE of Nebraska.